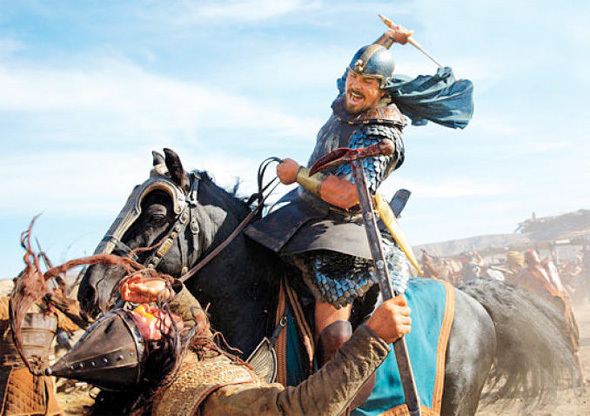 We've seen just one image of Christian Bale from Ridley Scott's next film, the Biblical epic Exodus: Gods and Kings. 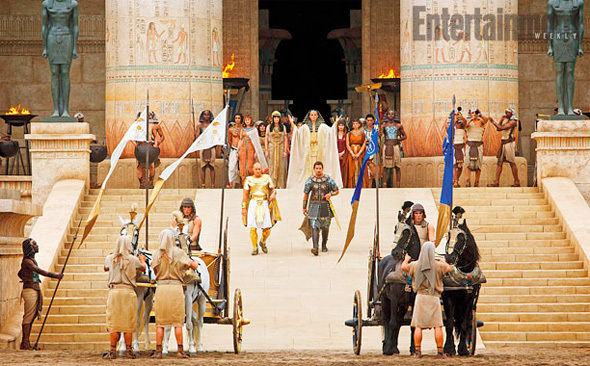 But now some more images from the film have surfaced, showing off the size and scope of the film following Bale as Moses as he begins a revolution against Egyptian Pharaoh Ramses II, played by Joel Edgerton (The Great Gatsby). 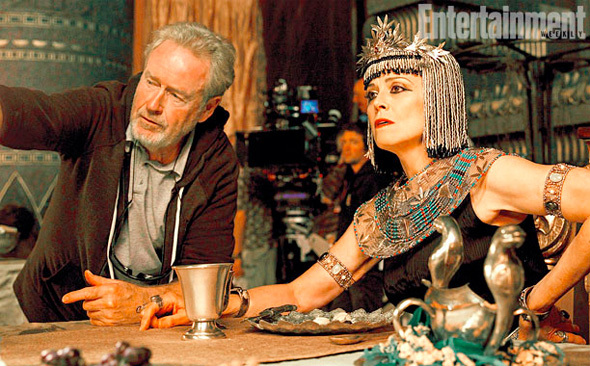 We finally get to see Edgerton looking much more tan, along with our first look at Sigourney Weaver as Tuya, mother of Ramses, and Ben Kingsley as well. 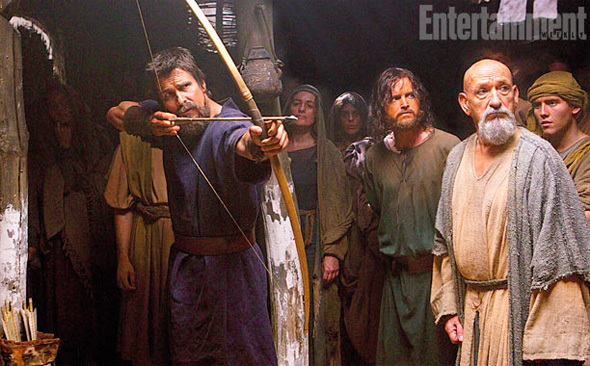 There's a great story at EW about Aaron Paul having an adverse reaction to the camel smell on set, but can you spot him? Exodus: Gods and Kings is directed by Ridley Scott (Gladiator, Robin Hood, Alien, Blade Runner) and written by Adam Cooper & Bill Collage (Tower Heist, Accepted), with a rewrite by Steve Zaillian (American Gangster, Moneyball, The Girl with the Dragon Tattoo). The film follows Christian Bale (The Dark Knight, Out of the Furnace) as Moses, chronicling the Biblical figures life from his adoption by Egyptian royals through his revolution against Pharaoh Ramses II (Joel Edgerton). Aaron Paul, Ben Kingsley, John Turturro and Sigourney Weaver. 20th Century Fox will release the film just before Christmas on December 12th. Sigourney Weaver? Really. They couldn't put someone who looks more like someone from that region of the world? Suprised that's the only casting choice your complaining about, considering the fact Aaron Paul looks like he walked straight out of the 70s and Christian Bale....just looks like Christian Bale with a beard. Out of all of them the only casting choice to me that seemingly fits in is Ben Kingsley. and thats only cause kingsley is half Indian himself but yeah reality is we would never get ethnic correct actors in a big budget hollywood film. These movies get financing based on the actors they sign on and a no name foreign actor would never get any backing. To me there is no point in even complaining about it. Christian is british, Joel is Australian, but yet you have a problem with the American on there? Zaillian's involvement saved my interest. What power Ridley holds. The sets look massive, the man can make whatever he wants and so fast. Have to say this looks cheesy and I am not excited at all. This looks hella throwback! Awesome. After his last two movies, he has a lot to make good again. Prometheus blew and the counselor was even worse. Looking at these two movies it was hard to imagine they are coming from the same guy who gave us Alien and Blade Runner, two of my all-time movies. 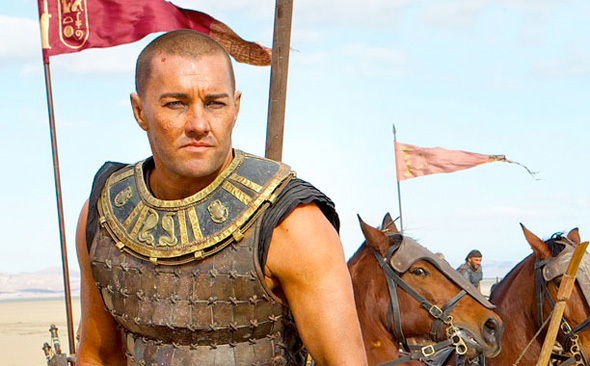 Gladiator was good too but im still skeptical that this dude can still pull something decent off. If I squint just right, they actually don't look like white people. And I also see rock angels! so much white hateredge. can't we all just get along?? They actually built sets? That's awesome!